This particular seller had two Kareen Compacts. The first was a two-tone model. The two-tone was marked with a 1996 serial number, and looked like a Kareen MkII “transitional” gun (note the rear slide cut, which is a two-cut rather than curved like the original MkII). 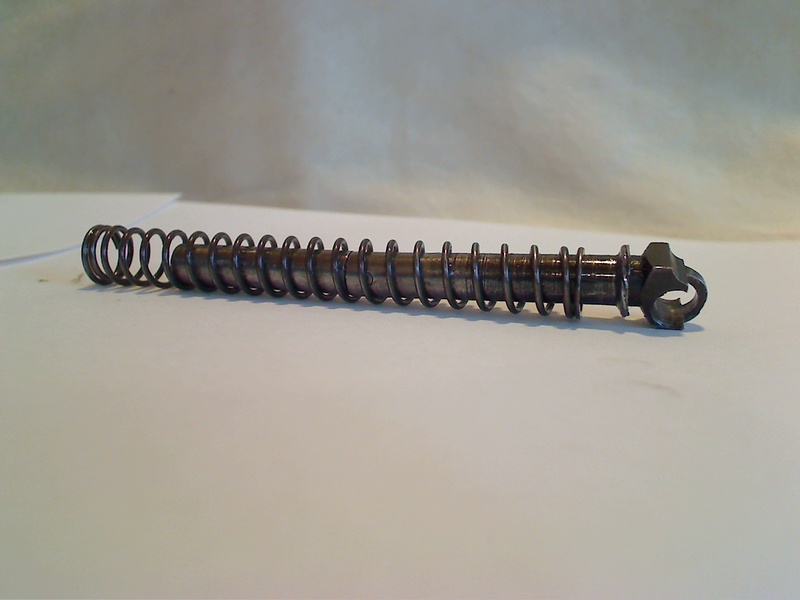 The second gun was a brushed-steel model (pictured above the break). 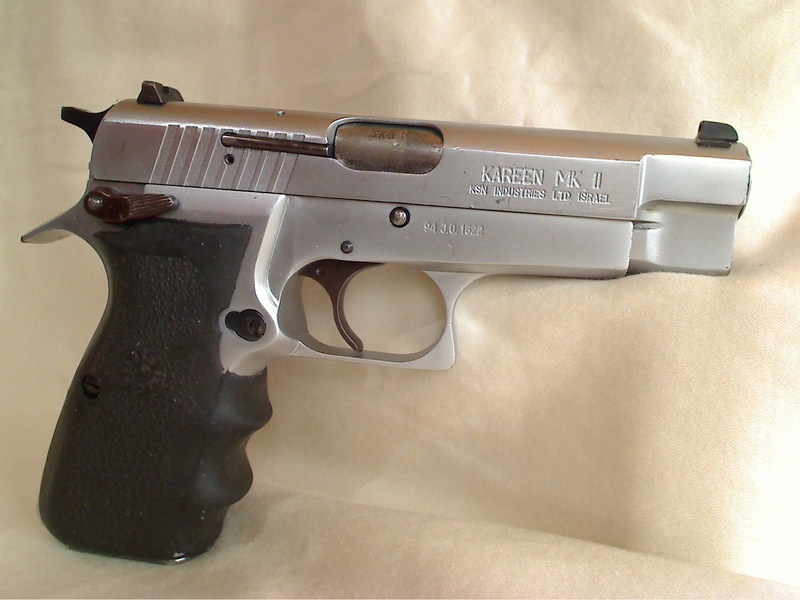 The brushed-steel gun had a 1994 serial number, and looked like a standard Kareen MkII gun. Also worth noting is that the brushed-steel gun had a two-piece full-length guide rod, much like the Arcus 94C and FM Detective guns. Why the later two-tone gun uses a standard short guide rod is a bit of a mystery – it could be an after-market retrofit, or perhaps KSN didn’t have the full-length guide rods available at the time. As you might expect, the rubber combat-style grips on both guns look like they’ve seen better days – Century or downstream resellers tended to pull the grips and replace them with bog-standard BHP panels. The exciting thing is that just having these pictures tells us a lot about these otherwise mysterious guns. What do we now know? First, we can narrow down the end of the transitional MkII period to 1996. There are MkIII guns dated 1996, so we now know that the transition must have happened during that year. Second, we also know that there are multiple kinds of Kareen Compacts. Was there a MkIII? Never heard of one, but now we know it’s not impossible. Third, we also know that the Kareen Compact was not a single production run. The relative rarity of these guns has led me to speculate that they were a very limited, single-time run, but now we have evidence that these guns were produced in 1994 and 1996. That means there’s at least the possibility that there are more out there waiting to be imported. Perhaps we’ll see a bunch of police surplus guns suddenly pop on the market for a limited time, much like what happened with the BUL Storm Compact. Fourth, CAI mismarked both these guns as standard MkIIs. That’s not necessarily their fault – after all, “MkII” is what’s written on the slide – but it also means that there may be Kareen Compacts out there that are mislabeled. Definitely look closely at any MkII or MkIII that you see – it could be a hidden gem of a Compact.